Boulder, CO. April 19th, 2016 – Ecolibrium Solar, a leading supplier of solar racking systems for commercial and residential applications, announces that the Ecolibrium Boulder R&D Laboratory is now a Certified Partner Lab by TÜV Rheinland PTL. Under the Partner Lab Program, Ecolibrium Solar is qualified to conduct testing, within their scope of accreditation, to ANSI/UL2703, while TÜV Rheinland PTL will provide any additional testing required and UL2703 certifications for solar racking products. Under the Partner Lab agreement, all testing is conducted under the technical direction of TÜV Rheinland PTL. TÜV Rheinland PTL provides dedicated engineering support throughout review, testing and certification phases. Working together, Ecolibrium and TÜV Rheinland PTL are committed to maintain industry leading testing techniques to raise the standard of products offered to the industry. “By adding in-house UL2703 Testing capabilities, Ecolibrium Solar gains a deeper connection to the validation of their products, and proves their commitment to exceeding client needs. As a strategic partner, TÜV Rheinland PTL collaborates with Ecolibrium at all steps in the certification process, resulting in faster proof of conformance and allowing them to expand into valuable markets,” said Jerry Novacek, Solar Laboratory Manager, TÜV Rheinland PTL. 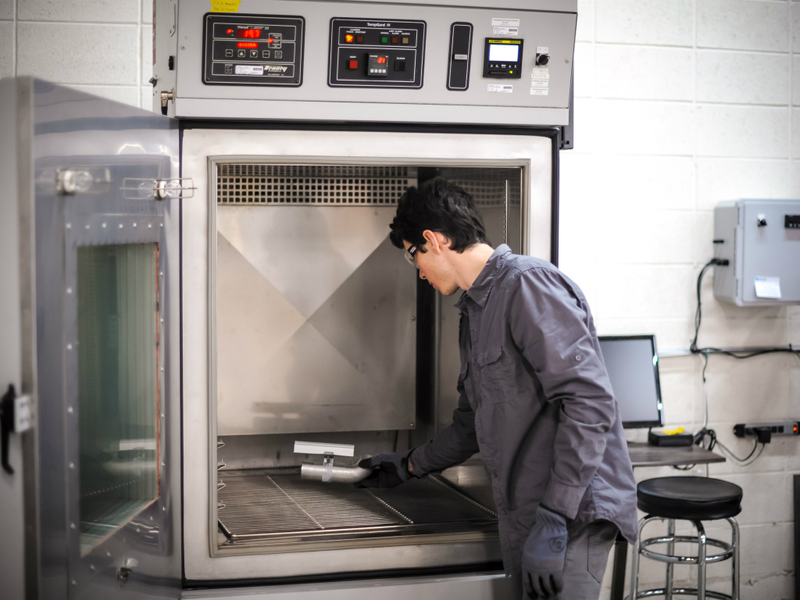 With the ability to conduct UL2703 testing in house, the Ecolibrium Solar engineering team gains a close connection to critical product validation steps. In addition, in house testing expands test capacity, reducing the total timeframe to complete critical UL2703 certification. Over the past year, Ecolibrium Solar has expanded its testing capability within the Ecolibrium Solar R&D Laboratory. The Partner Lab certification starts with UL2703 test capabilities. Going forward, Ecolibrium Solar will add additional testing and certification capabilities beyond UL2703. All new certification will be developed with TÜV Rheinland PTL, and included within the Partner Lab program qualification. Beyond its own development, Ecolibrium Solar will also offer independent engineering and technical services to other manufacturers and product developers. This offering brings the combined expertise of Ecolibrium Solar and TÜV Rheinland PTL to a broader segment of the industry. Ecolibrium Solar® is a market leader in solar racking solutions for commercial and residential rooftops. The company designs and manufactures simple, cost-effective, and installer-friendly products that maximize solar installation efficiency and minimize costs. Our world-class, innovative mounting solutions are delivered with unparalleled service and support by dedicated, expert staff. In the global solar market for innovative, lower-cost, labor-saving racking technology, Ecolibrium Solar provides proven solutions backed by industry certifications and third-party validations. For more information, visit www.ecolibriumsolar.com. Founded in 1872, TÜV Rheinland is a global leader in independent testing, inspection, and certification services, ensuring quality, efficiency and safety for people, the environment and technology in nearly all aspects of life. The company maintains presence in 69 countries, employs 19,300 people and has an annual revenue of more than $1.9 billion (€1.7 billion). TÜV Rheinland inspects technical equipment, products and services, oversees projects and helps to shape processes for a wide variety of companies through its worldwide network of approved labs, testing facilities and education centers. Since 2006, the company has been a member of the United Nations Global Compact to promote sustainability and combat corruption. For more information, visit www.tuv.com/us.